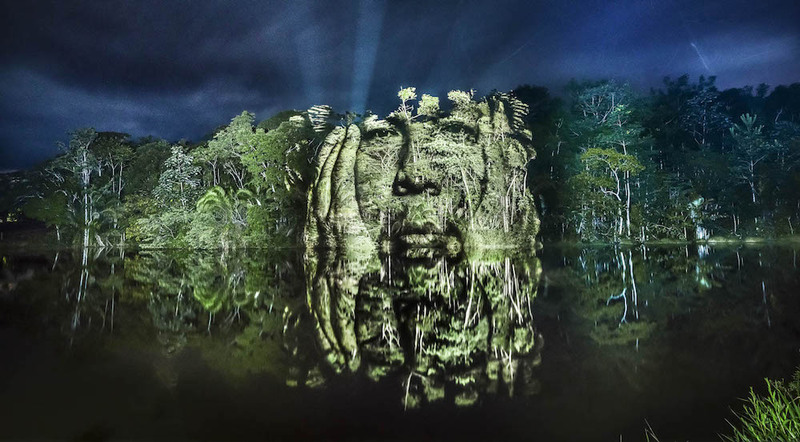 Philippe Echaroux’s artistic protest against the destruction of the rainforest. Since the seventies, nearly twenty per cent of the Amazon rainforest has been destroyed. Some experts fear that another 20 per cent will be lost by the year 2035. 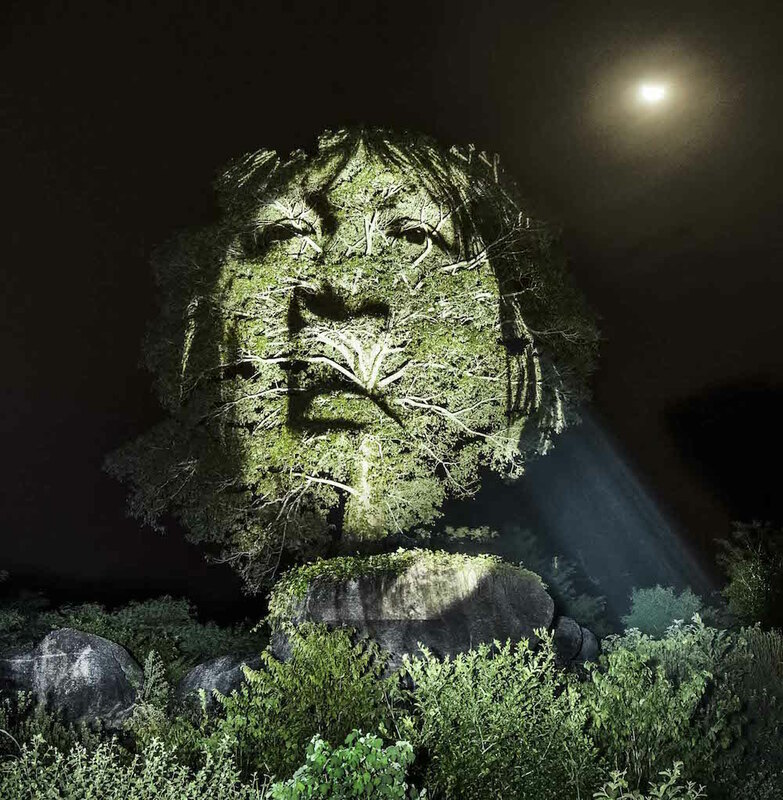 French photographer and street artist, Philippe Echaroux recently travelled to Brazil where he was invited by Chief Almir Surui Narayamoga to capture the portraits of members of one of the region’s indigenous tribes. 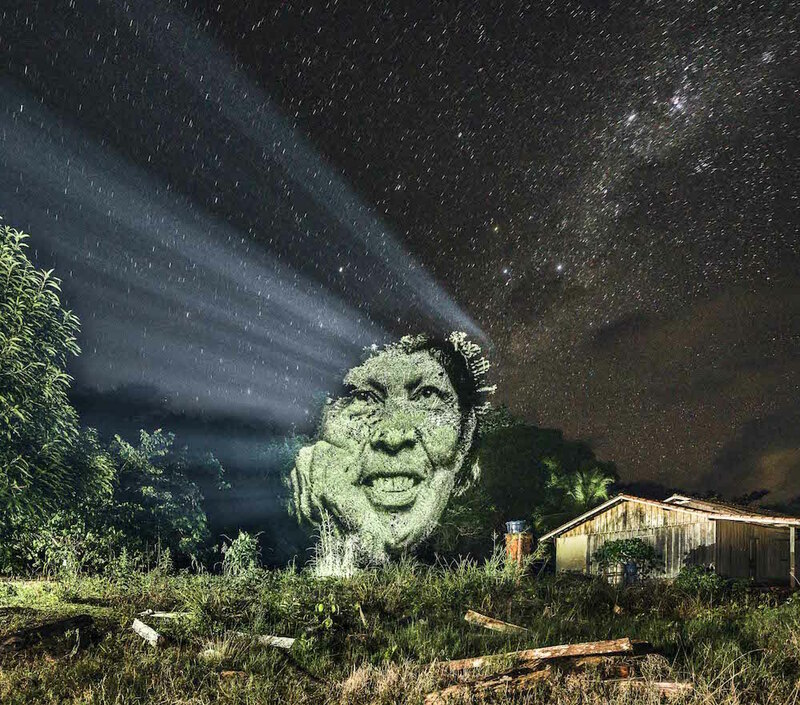 Using the forest as his canvas, Echaroux projected moving images of the Surui people to create a striking visual protest. Even though the Surui have been granted a territory in the Amazon with the important mission of cultivating and protecting it, they have also been the victims of large-scale deforestation and rampant illegal logging. Echaroux was invited by the chief to live with the Surui for the duration of his project, becoming more aware everyday of the indelible connection they have with the earth. 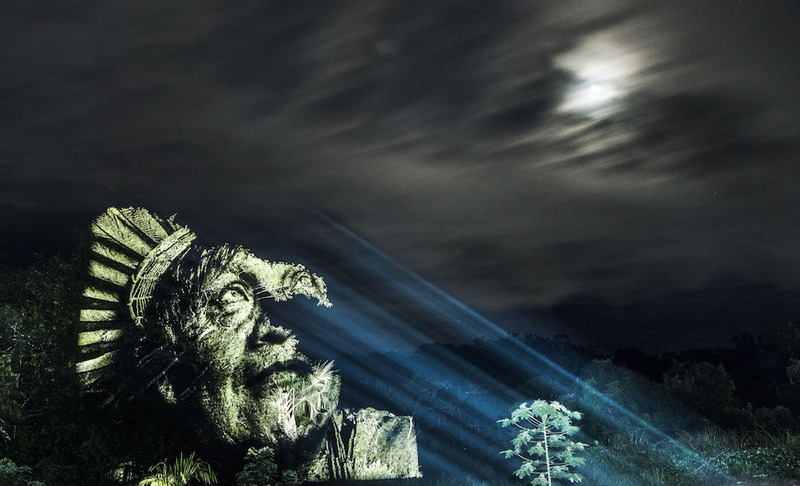 Titled “The Crying Forest”, his project hopes to draw attention to their plight and serves as their declaration of ownership. Enlarged and carefully projected over the trees of the forest to create what appears as a seamless composition, the pensive faces of the Surui, shot over the course of a week by Echaroux, beautifully display the harmonious relationship they enjoy with their habitat. 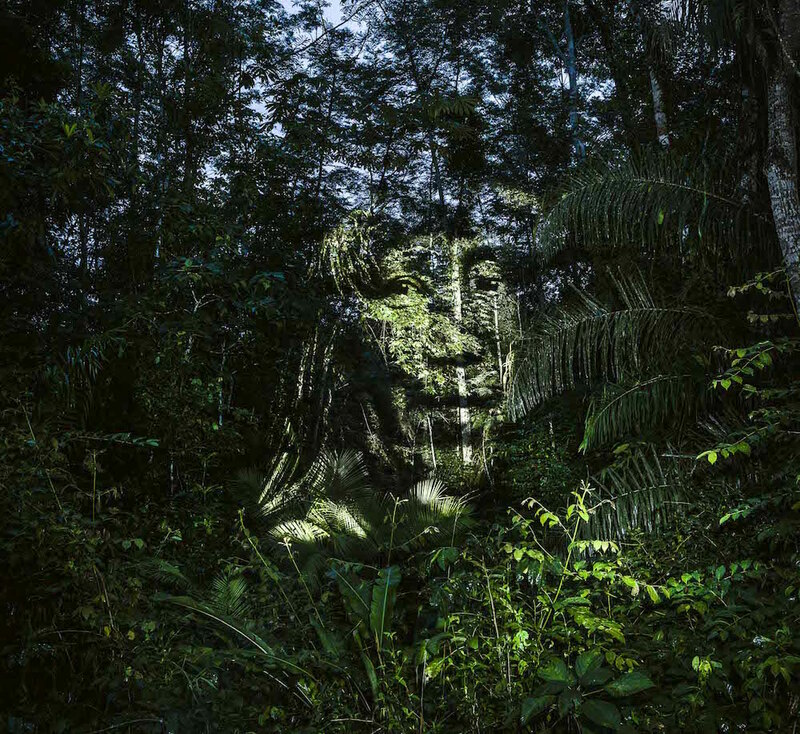 The work is a confronting visual, one that forces the viewer to consider the Amazon as more than just a site of valuable resources. 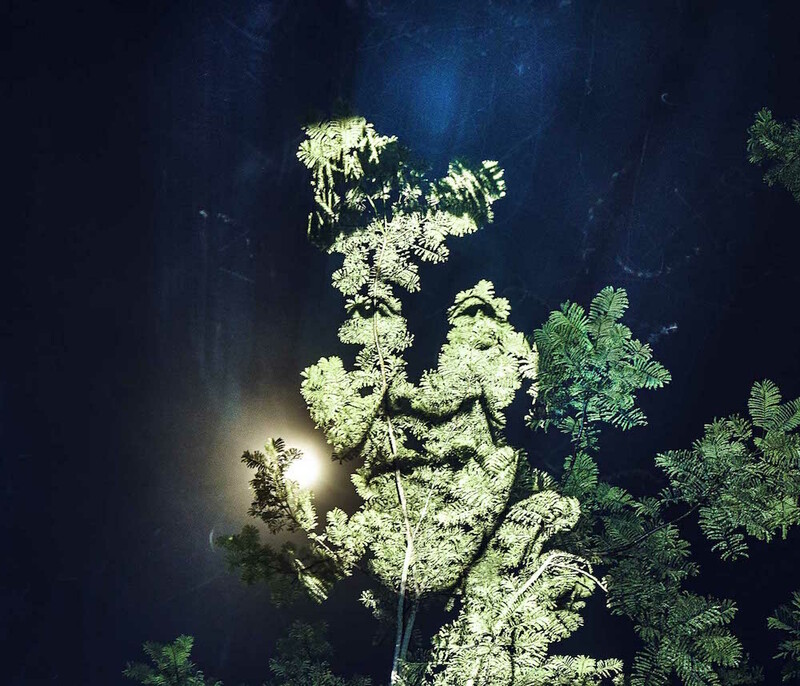 Part of a conservation campaign envisioned by the photographer and named Street Art 2.0, ‘The Crying Forest’ is likely just the beginning of an ongoing artistic commentary on humanity's’ relationship with the earth.